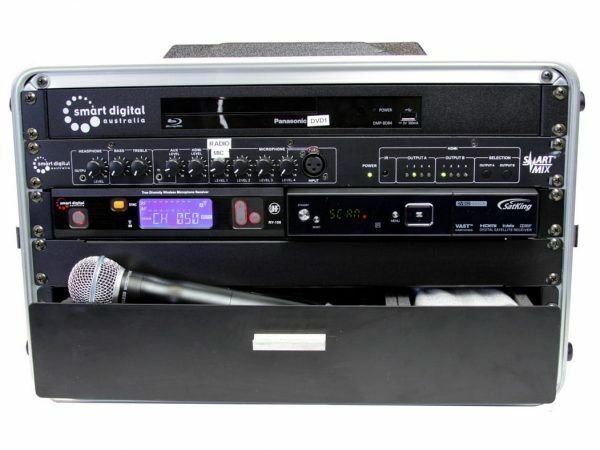 SmartBox® as a self-contained media outlet which can be integrated with various audio visual systems, including projectors, speakers, MP3 players, computers, video cameras, and more. 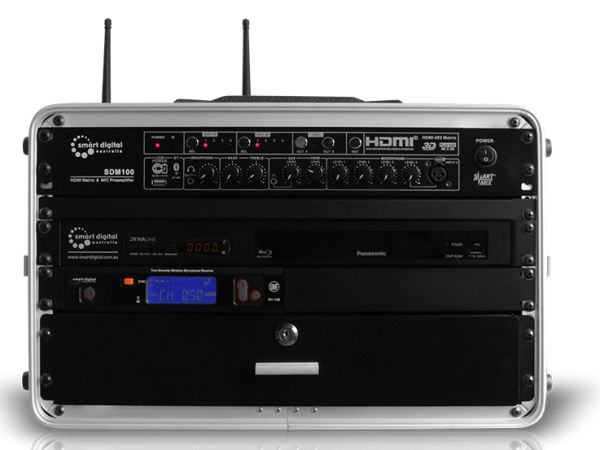 The SmartBox® Gold is a user friendly audio video control system. Use it to show movies and organize audio video events. 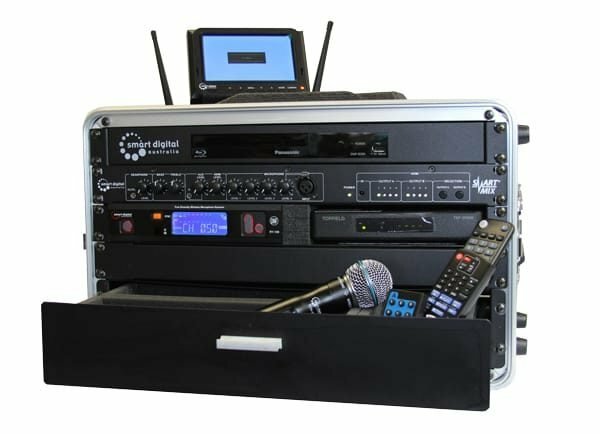 We designed SmartBox® as a self-contained media outlet which can be integrated with various audio visual systems, including projectors, speakers, MP3 players, computers, video cameras, to name a few. Designed in Melbourne, Portable Multimedia Control System SmartBox® Gold is the unique solution, which makes audio video entertainment easy. 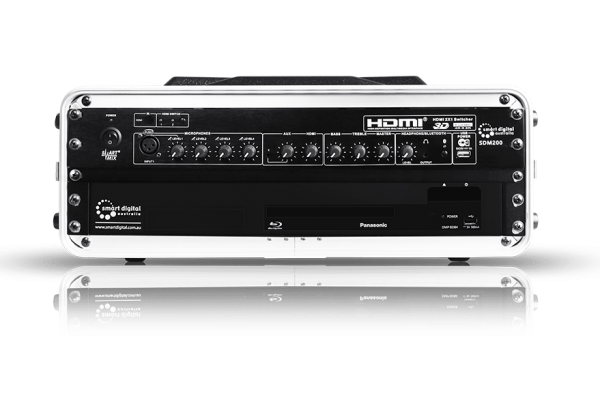 Screen Blu-ray and DVD movies, control the sound, watch live TV with an external set top box, or play music with an external MP3 player! SmartBox® Gold is supplied as a part of complete outdoor cinema systems, such as ParkView® and HandiTheatre® cinema packages. With Portable Multimedia Control System SmartBox® Gold, showing movies is easy even for the person with no technical background.